Important Note: AMC Yellow Tickets are not accepted in California, New York and New Jersey. 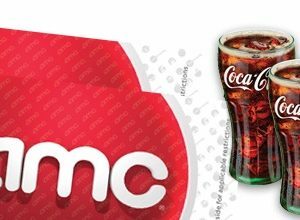 If redeeming in California, New York, or New Jersey, purchase AMC Green Tickets. AMC Tickets are good at AMC®, AMC Showplace, Loews®, Cineplex Odeon, Magic Johnson and Star theatres. Perfect for date night, holiday gifts, employee incentives & rewards. The AMC Ticket is valid for one admission and redeemable at any AMC, AMC Loews, AMC Showplace, Cineplex Odeon, Magic Johnson and Star Theatres, excluding Canadian theatres.